Happy Friday everyone - hope you all had a great week! I have had a pretty relaxing week - it has been a little hard to keep my motivation up being at home every day! I have been making sure to go for walks and I have lots of thoughts on what I want to do, but I have recently been sucked in to a Pretty Little Liars marathon on Netflix! I have finally found the Diaper Bag I want!!! 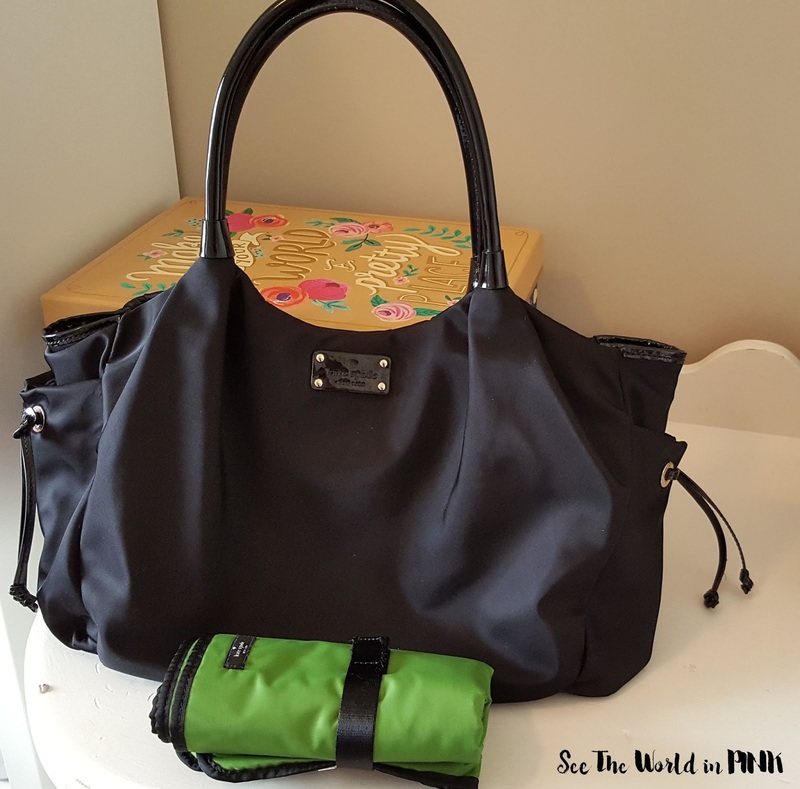 This is the Kate Spade Watson Lane Stevie Diaper Bag! The best part about this find is that it was only $75.00 on Kijiji and it is in pristine condition! (To put this in perspective, this bag is currently on Nordstrom Canada for $558.73 CAN or on Kate Spade for $398.00 US). This whole pregnancy I have actually had terrible luck finding any good deals on Kijiji, so I was so thrilled when I came across this! I love this bag - it is so beautiful and actually huge! 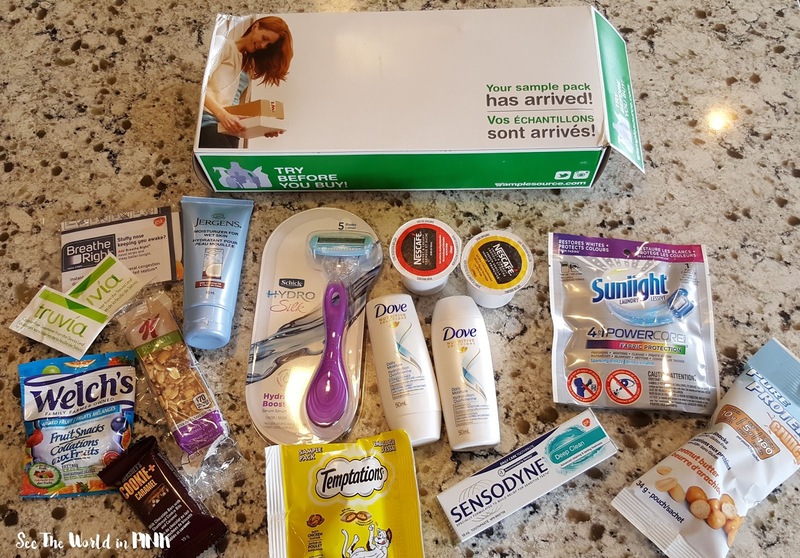 My Spring Samplesource box arrived yesterday! This season I qualified for 15 samples and there is some really great samples in here! A razor - awesome! I needed a travel sized toothpaste soon as well! Plus lots of yummy snacks - I'm not going to lie, I have eaten most of them already. Coffee, lotion, shampoo, kitty treats, etc are all good! This is totally free, and you just receive products that you qualify for once per season! After you try the samples, you get an email and review the products - head to their website to sign up! Oh man... what a bad kitty mom I am! I just realized it's April and both of my silly cats turned 4 in March! I usually try and get Max and Mephisto a little gift or something to celebrate! These two are so cute and funny! 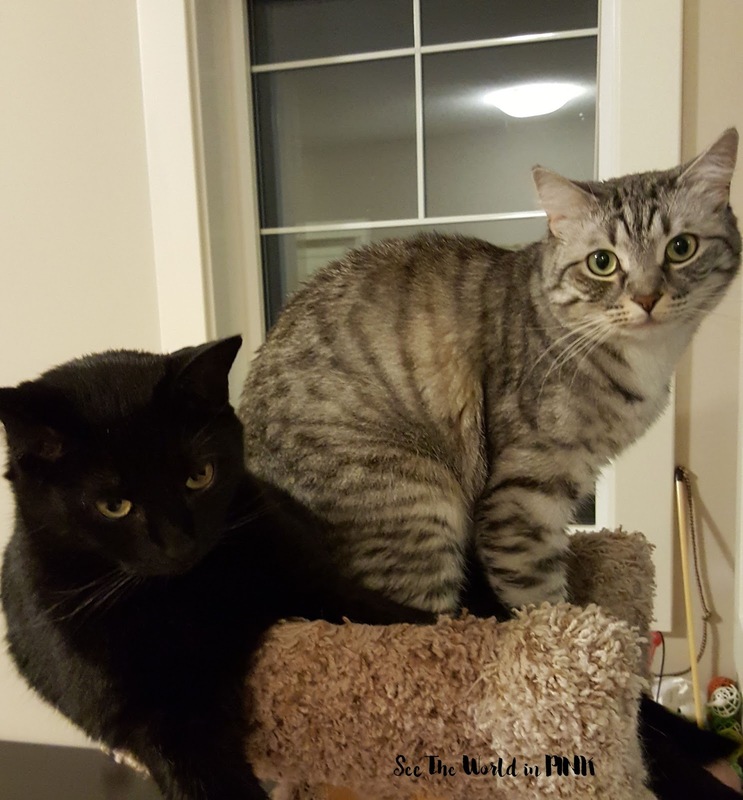 Also, this picture is one of my favs - Max is Queen B so whenever Mephisto is sitting in "her" spot, she will sit on top of him until he moves! Anyone else notice that I have a bit of a problem with buying tea strainers? Like, why they all gotta be so damn cute?! 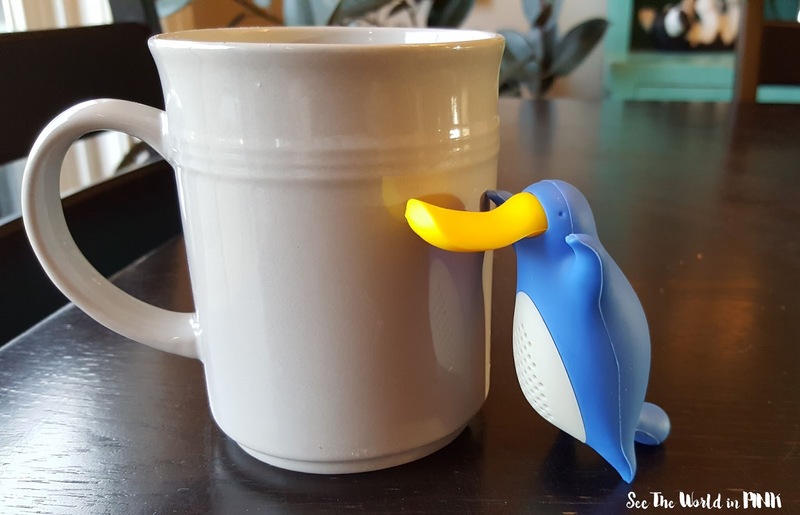 I clearly could not resist adding this platypus strainer to my collection when I saw him! Good thing I can find them all for cheap on ebay! 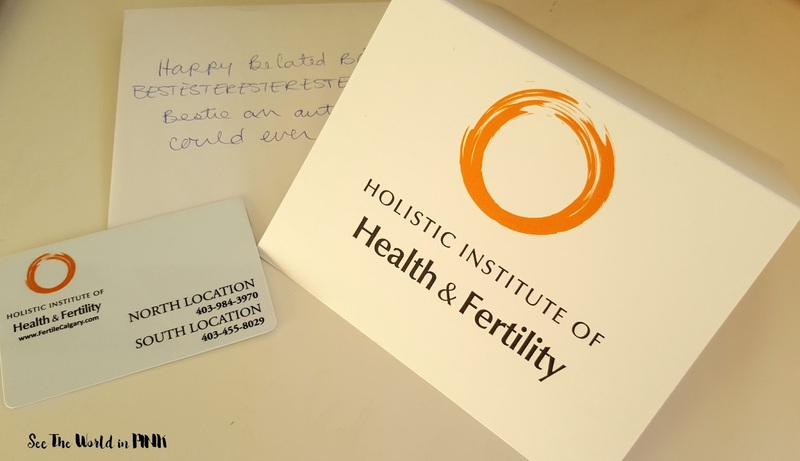 Last, but definitely not least... my bestie gave me a belated birthday present this week (yes my birthday was in November and I have known what my gift was)... but now I have a gift card for a pre-natal massage! While it would have been good in November, I think it is going to be excellent for next week! I am only a month away from baby, so I am big and my back is sore and a massage will be amazing!